Incoming mail should be in the form of postcards. Legal mail is accepted in all forms and is subject to examination for contraband. Money orders should be sent seperately from other mail and addressed to Inmate Commissary Account/Inmate's Name. Inmate to inmate mail is prohibited. Address instructions here. Inmates are allowed freedom to practice their chosen religion. The jail chaplain arranges services for the facility. Any cleric wishing to provide services should contact the jail during normal business hours and fill out our minister security clearance form . Appropriately classified individuals may participate in community service work outside the jail. Others may participate in work programs in the jail. All work assignments are at the discretion of the jailer. Inmates participating in this program may receive one home package of these additional items . If given the opportunity to serve your time on weekends, please arrive totally sober and bring a $55 booking fee. If you are intoxicated, you are subject to arrest and the judge will be notified. If you are scheduled for multiple weekends, any violations may result in serving your time straight. The jail does not reschedule weekends; only the judge may grant an extension of time. Inmates may also utilize e-mail and text messaging over our secure system. All correspondence must be initiated by the inmate and the cost is 50 cents. This cost is for the outgoing message and the response is free. Receipients will recieve a notification advising that you have a message from the sender. You must accept the message to read it. 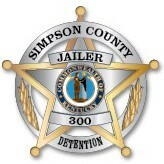 AA/NA are offered regularly at the Simpson County Detention Center. We are pleased to partner with our recovery community to bring this beneficial program to our population. Simpson County Detention Center is pleased to offer services to those who have valiantly served our country. We are one of the few facilities to have a dedicated Veterans liason to coordinate resources available to those who served. All work release must be approved by the judge and the jailer. Fees for work release are paid weekly. Failure to pay fees will terminate work release agreements. Rules violations will also terminate work release agreements. Employer information sheets must be completed prior to starting work. The jail is not responsible for transportation. We offer offsite video visitation. You may use a computer, tablet, or cell phone. To use mobile devices, please visit the App Store for iPhones and iPads or the Play Store for Android devices, and download the VendEngine app. You may also make commissary deposits with this app. Cost is $15 for a visit up to 15 minutes. At this time, we have no limit on visits.